We R Memory Keepers MINI ENVELOPE PUNCH BOARD 660541 at Simon Says STAMP! 660541 This item is on reserve until If you would like to reserve this item now, you may purchase it now with the rest of your order. We will hold your order now and ship your entire order as soon as this item is back into stock. If you would like your order to ship now, please place this item on a separate order. 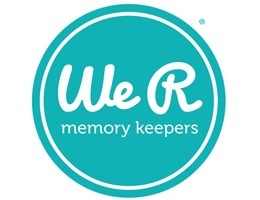 Success, We R Memory Keepers MINI ENVELOPE PUNCH BOARD 660541 has been shared! Because smaller is cuter! Make mini designer envelopes easily with the Mini Envelope Punch Board and scoring tool. It works the same as the regular Envelope Punch Board, but makes 2 inch to 5.5 inch envelopes. They’re perfect for holding gift cards, place cards, whimsical notes, trinkets, mementos, planner accessories and much more. Multilingual instruction sheet inside. Punch Board is approx. 4 x 6.75 inches.